For a century, Victaulic innovations developed by our engineers, have shaped the course of history. Today our engineering community is engaged in developing and shaping the next generation of innovators February 17-23 celebrates National Engineers Week. Victaulic is proud to bring our expertise to future STEM professionals and inspire wonder in youth across our community. This week long celebration is designed to help increase public dialog about the need for engineers and bring engineering to life for kids, educators and parents. Victaulic is proud to host Engineering Explorer Post 1919 again this year, helping high school students discover STEM career opportunities. Students participate in group activities such as the construction of bridges, catapults and water clocks, giving them a better understanding of engineering principles. Victaulic is leveraging its world-class capabilities and engineers to provide training and guidance to the engineers of tomorrow. Learn more about Post 1919 by clicking this link. Underwater robotics is the basis of SeaPerch, a national program with a local chapter at Saucon Valley Middle School, due in part to sponsors like Victaulic. Students learn STEM skills while learning teamwork, self-confidence and life skills in a mentor-based atmosphere. Best of luck to the team as they participate in the regional competition in Philadelphia in March! Learn more about the SeaPerch program by visiting their website. Connecting girls interested in STEM careers with female STEM professionals is the goal of the Women in Science Network (WISE) Network at the Da Vinci Science Center. As part of the advisory council via one of our top engineers Susan Schierwagen, Victaulic helps ensure there are meaningful exchanges to encourage more young women to join the STEM field. Five Victaulic engineers volunteer as PA Dream Team members, representing the promise and future of advanced manufacturing in Pennsylvania. Dream Team members make classroom presentations that encourage students to explore STEM careers in the manufacturing industry. The PA Dream Team, managed by the Manufacturers Resource Center (MRC), reached nearly 1,300 students in just the fall of 2018. 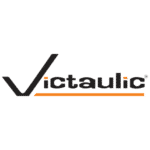 Victaulic’s future is dependent on our ability to continue to develop a steady stream of value added, innovative products that solve our customers’ problems. Investing in the next generation of engineers helps ensure we have access to the best and brightest talent we can find so that we can continue to innovate for years to come.